BSCI developed and manufactured the first FIA Type A homologated roll bar padding. Using our extensive knowledge in energy management using foam materials and manufacturing techniques, we are able to produce the most efficient energy management material for roll cages. BSCI FIA Type A padding is the most flexible of the roll cage padding materials available that meet the FIA 8857-2001 Type A specification. 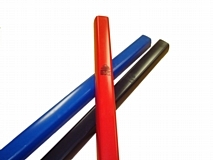 The flexibility of our padding allows for applications to varying tube diameters. The flat impact surface unique to BSCI FIA padding was developed to manage impact energy in the most efficient manner. Our FIA padding is used throughout the USA as well as in many global motorsport venues. For technical drawings, please view the files located on the right side of this page.